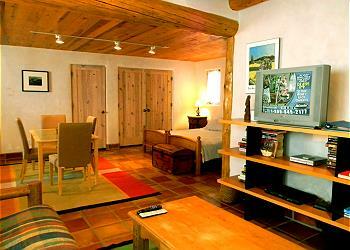 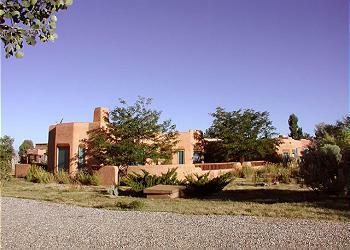 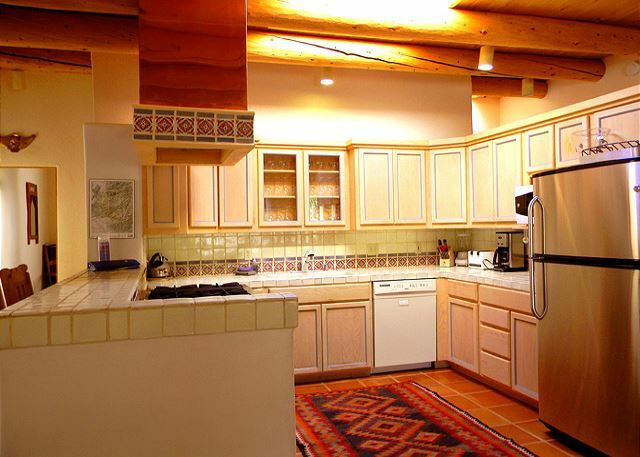 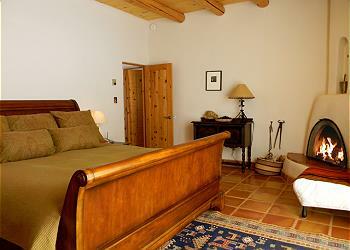 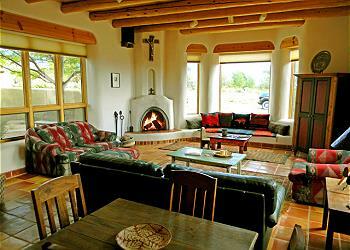 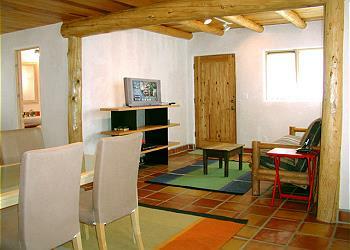 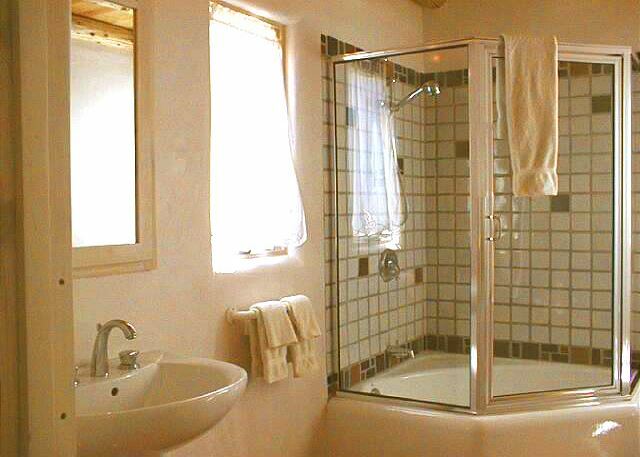 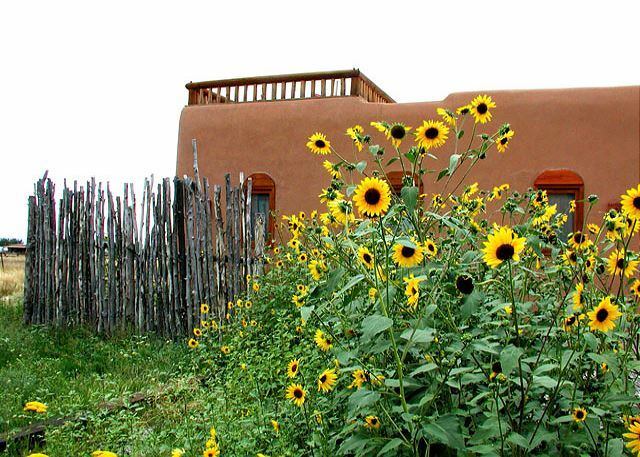 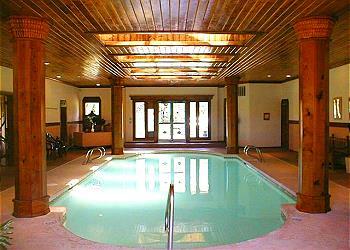 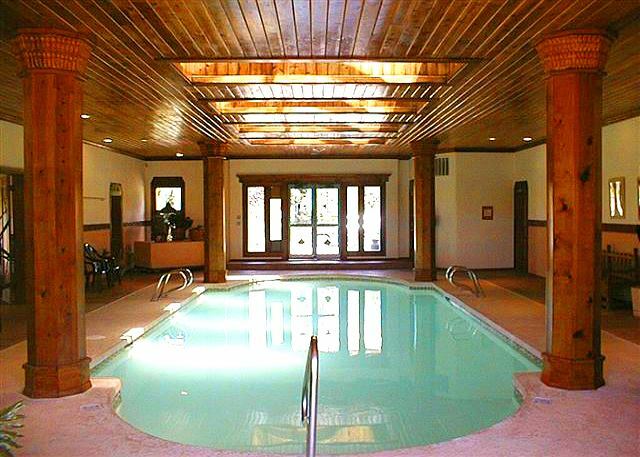 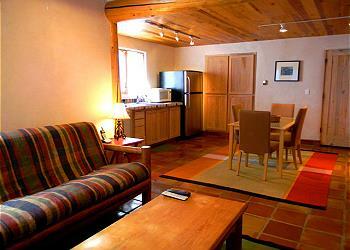 Casa Luminosa plus Casita Luminosa guest house sleeps the largest # of guests in Los Altos in Arroyo Seco, NM. 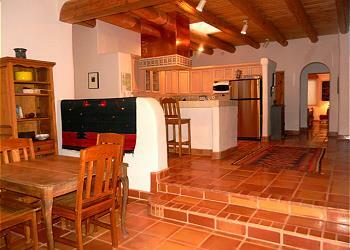 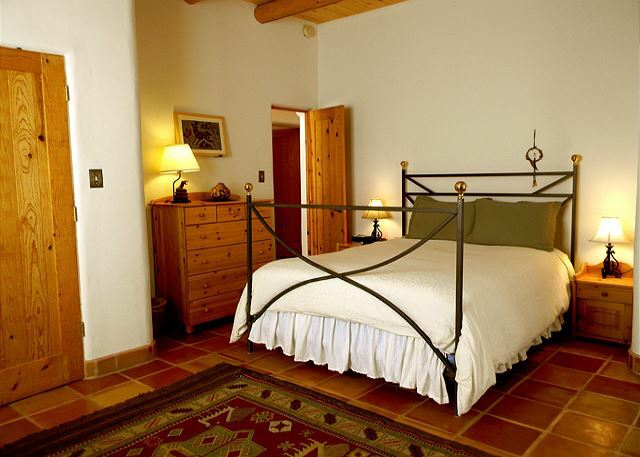 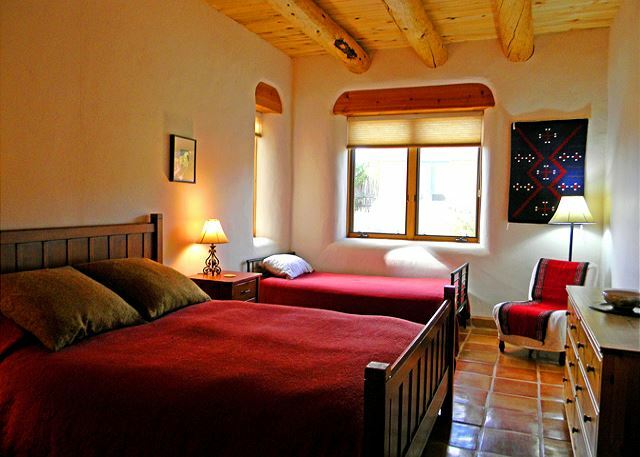 Custom built and beautifully furnished, the Main house sleeps 12 and the Casita sleeps 4. 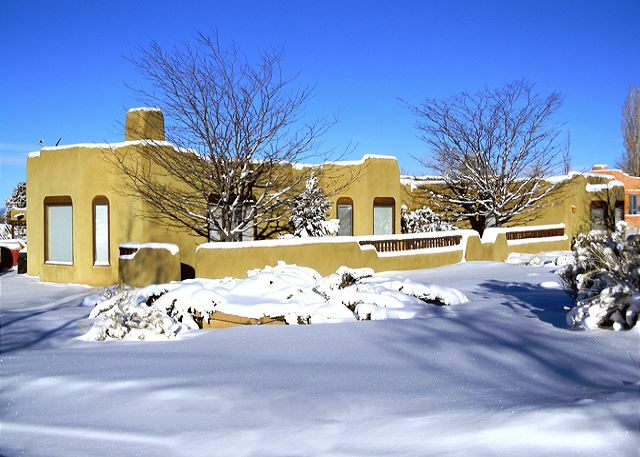 This upscale home in the popular f Los Altos resort community is located half way up the mountain between Town and Ski Valley being 8 miles to the town of Taos, NM and 8 miles toTaos Ski Valley for winter skiing and summer hiking and biking. The large sunken living room with 3 walls of jumbo windows maximizes panoramic South, East and West mountain / pasture views. 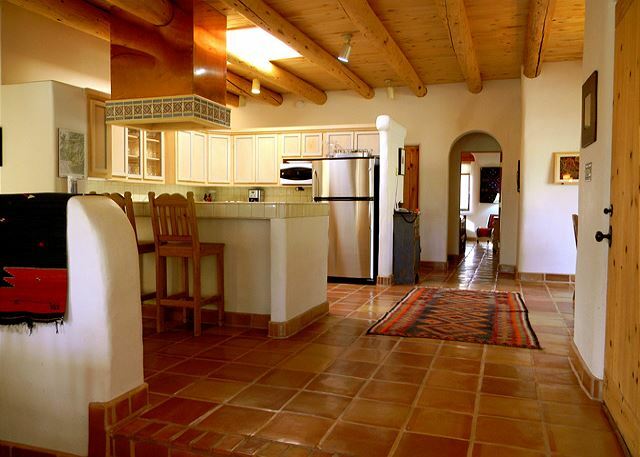 An open floor plan offers light and bright and airy space for group interaction and activity between kitchen, dining and living areas. 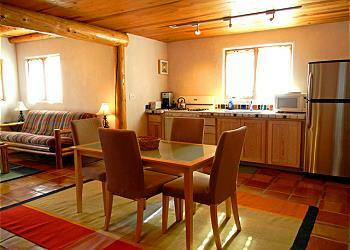 The living room game table and kitchen breakfast bar add additional dining for 6. 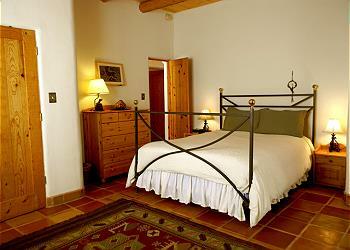 A special feature is the suite combining bedroom 4 & 5 with shared bathroom and shower. 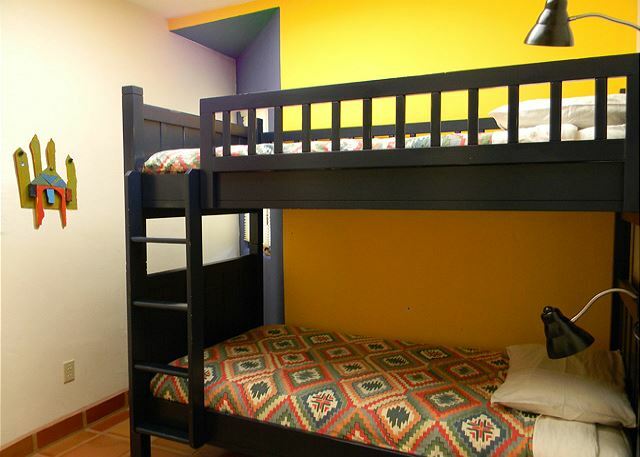 Bedroom #4 with bunk bed for 2 and den bedroom #5 with Queen futon and twin bed for 3. 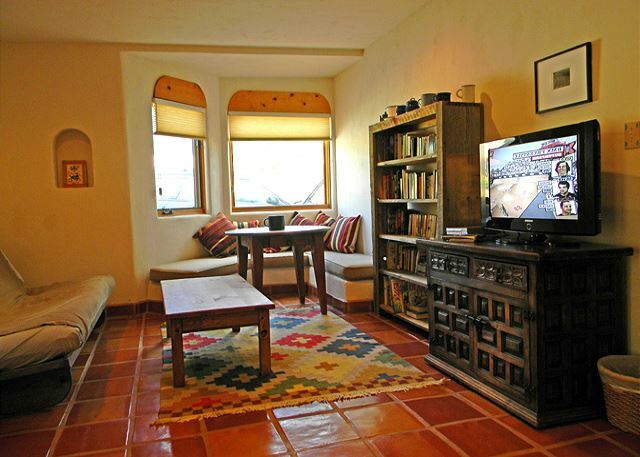 The suite, often used as a separate and removed getaway for the younger crowd with its' own TV or for a couple with small children needing private, removed and quiet area away from group hustle and bustle. The studio guest house is a wonderfully light, bright and spacious cabin / cottage type studio sleeping 4 additional guests on a King or 2 Twins and a Queen futon. This additional 700 square foot casita with bedroom, bathroom, kitchen and laundry facility combined with the 3,100 square foot main house provides efficient square footage for large groups of 16 maximum. 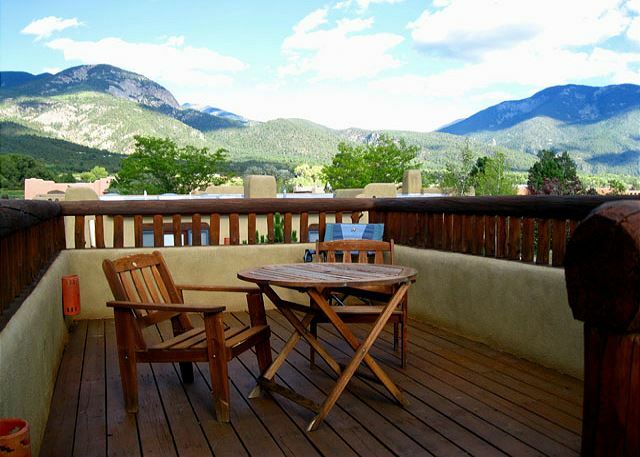 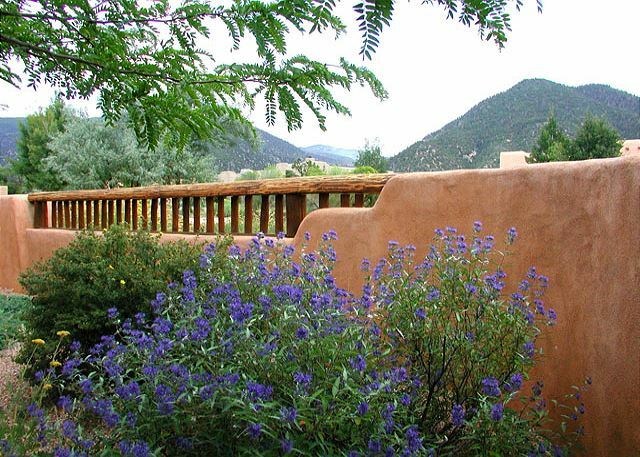 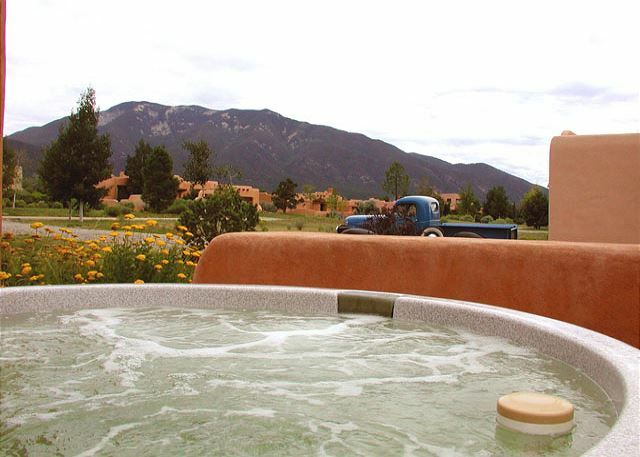 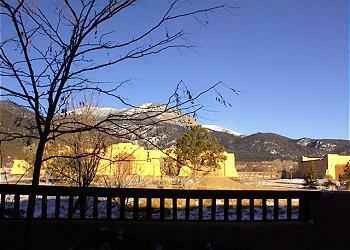 The roof top view deck is a special added feature of this popular Taos guest house rental. 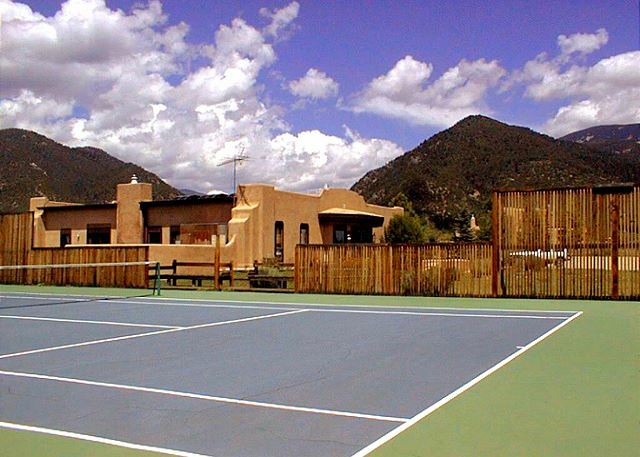 Inclused with all Los Altos homes, guests have privileges at the Los Altos Club House offering year round indoor pool and Tennis Court.